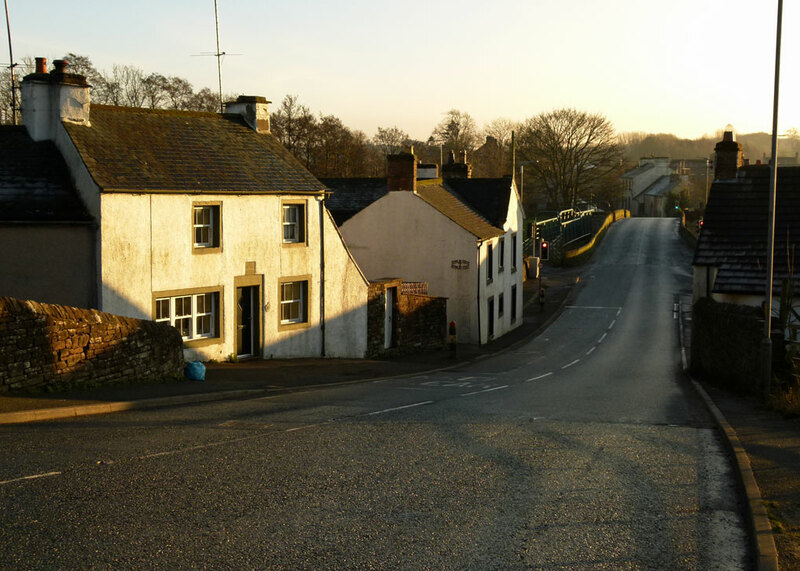 It is hard to wrap your brain round, but the small Cumbrian village of Eamont Bridge was once an international frontier crossing. Well – kind of. 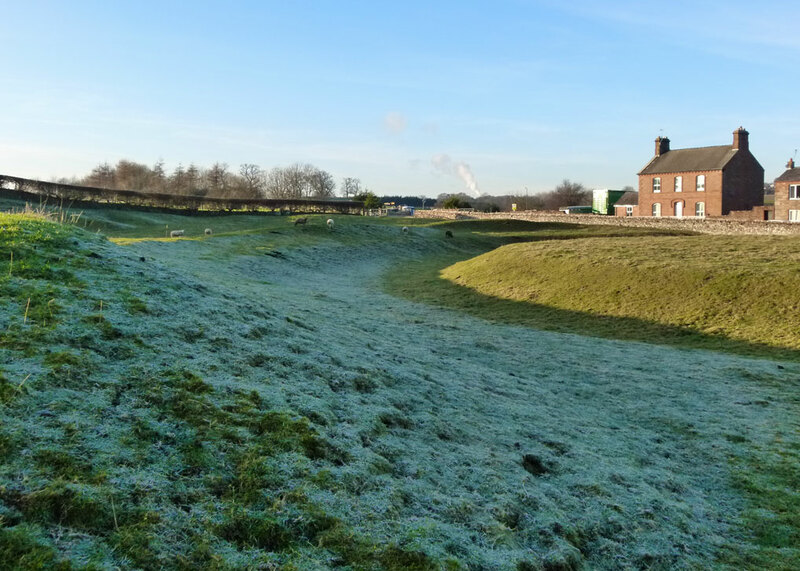 At first glance, it seems a nondescript sort of place, stretching along the A6 in typically linear northern fashion, so that both ends of the village could be blocked off and defended. Immediately to the north, across the river, the other side of the A66 and a busy roundabout, is the old market town of Penrith. Just to the west is the motorway, the M6, the main road artery between north-west England and Scotland. The M6 supplanted the ancient route that still runs through Eamont and over its eponymous bridge. The latter was a notorious traffic bottleneck before the motorway was built and, even now, the narrow crossing has to be controlled by patient traffic lights. The river washing along beneath looks vaguely threatening and is prone to overflowing. Frankly, the immediate impression Eamont Bridge gives is of a tired, traffic-stained backwater, in need of a good jet wash, and possibly relocation to somewhere higher and drier. Look closer, though. For a start, most of those travelling between Scotland and England before the 1970s, including armies heading both ways, would have passed through here. Quite a thought. 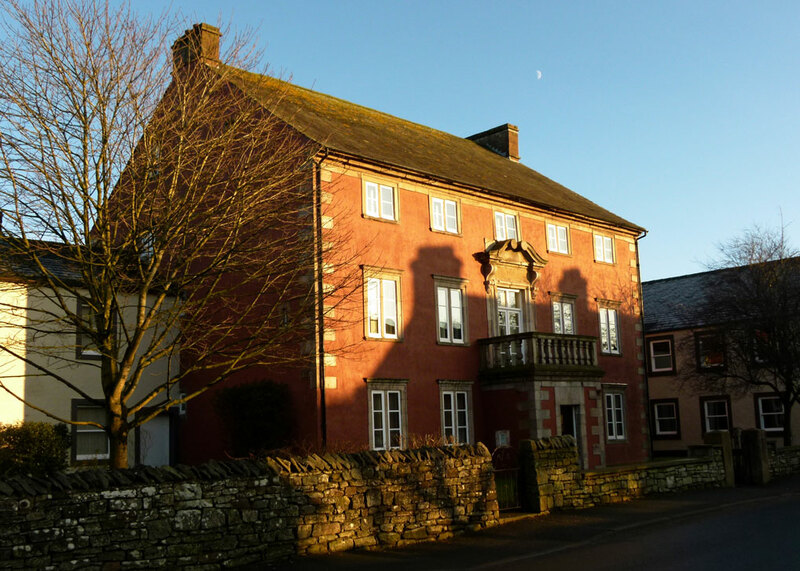 Then you notice proud 17th and 18th century houses along Eamont’s High Street, including the elegant Mansion House, built in 1686, and Bridge End, dating from 1671. 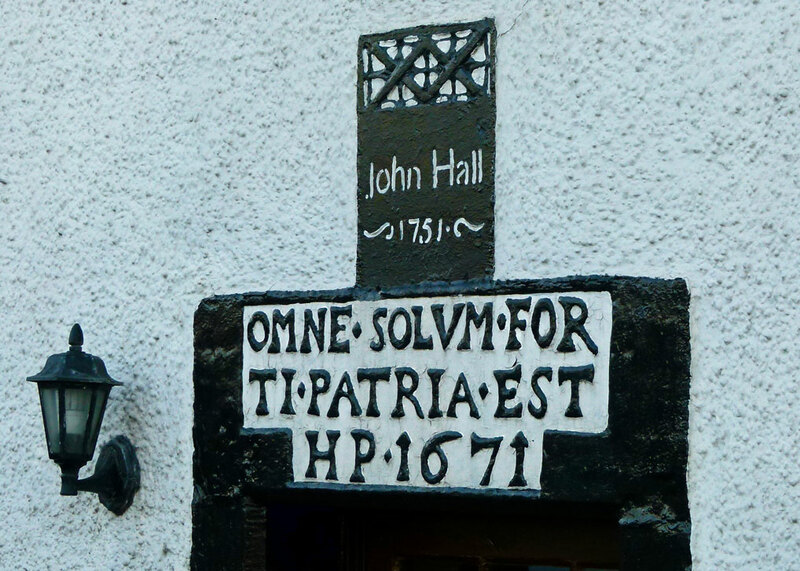 Above the doorway of the latter are the words, “Omne solum forti patria est” – which translates as ‘every land is a brave man’s country’. Presumably these were put there by the builder some 350 yeas ago, who I like to imagine as a swarthy foreign mercenary with a twinkling eye putting down roots with a local lass. If you know otherwise, please don’t spoil it by telling me. Step down to the riverside to appreciate the bridge, with its three graceful arches; it is one of the oldest road bridges still in use in Britain, dating from 1425. On the north bank are some attractive homes – victims of flooding in the past. So, what’s all this about a frontier? 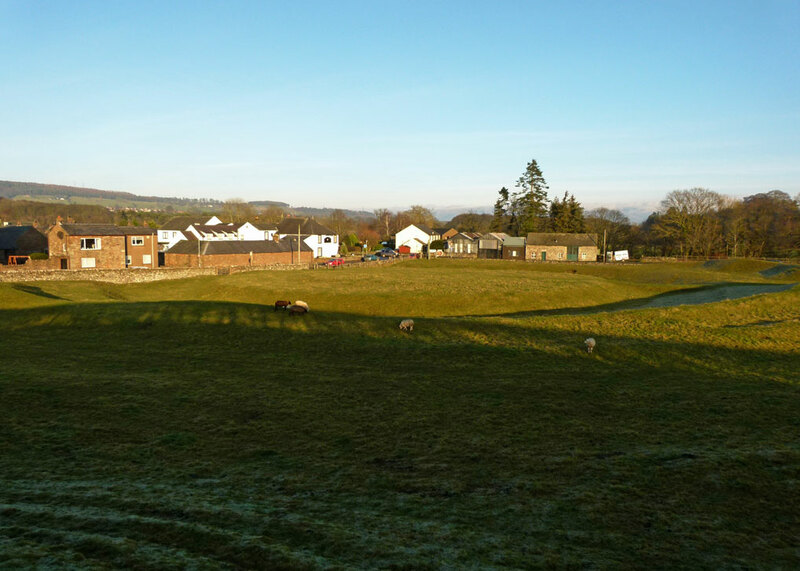 Well, until the local government reorganisation and creation of modern Cumbria in 1974, the River Eamont marked the border between the old counties of Westmorland, to the south, and Cumberland, to the north. Further back still, to the 11th century, and the border between England and Scotland was here. 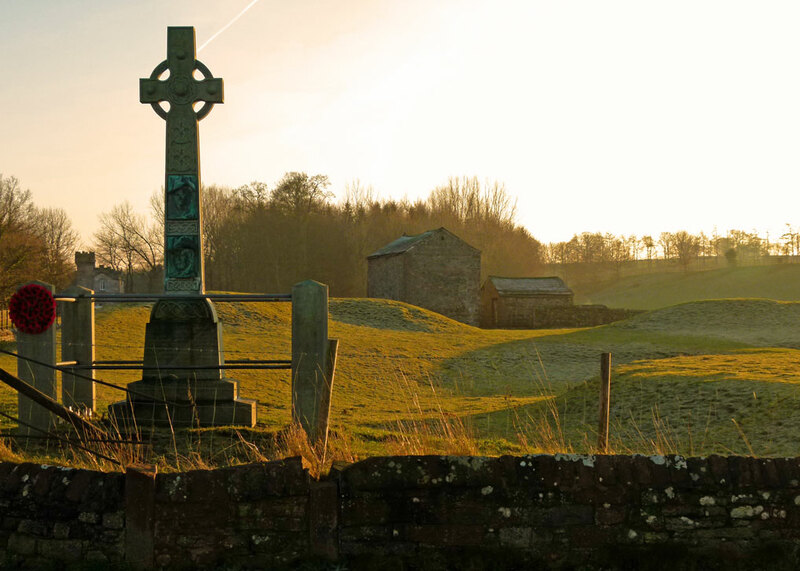 Even further back, and Eamont Bridge stood on the border of the old Welsh kingdom of Strathclyde and was where, on 12 July 927 AD, a great council took place and kings paid homage to the first king of all the English, Athelstan. What? Who on earth was Athelstan? Good question. Athelstan has a curiously low profile in our island’s story; some say this is possibly because his mother, Ecgwynn, or Egwinna, might have been of humble birth. If so, who’d have thought historians could be such snobs, eh? Anyway, Athelstan ruled for 14 years from 925 – 939 and was renowned throughout Western Europe as a truly great and powerful king, an English Charlemagne. He was a warrior, diplomat, law-maker, collector of manuscripts, art-lover and church benefactor. Athelstan’s grandfather, the inspirational Alfred the Great, ensured the survival of Wessex, the one kingdom in what is now England that did not succumb to the Danes; without Alfred, the English might have become nice people who settled down quietly and invented Lego. Instead, Alfred laid the foundations of a different nation, England; but it was Athelstan who established a centralised – and extended – English state. Britain in the 10th century was far from being an island of neatly packaged political entities. On Alfred’s death in c899, his kingdom of Wessex reigned more or less supreme in the south, in uneasy alliance with the rump of the kingdom of Mercia around Avon, the West Midlands and Cheshire. Alfred’s remarkable daughter, Aethelflaed (“Lady of the Mercians”), and his son, Edward the Elder – Athelstan’s father – gradually re-established Anglo-Saxon control over Danish East Anglia and the Land of the Five Boroughs (Derby, Leicester, Lincoln, Nottingham and Stamford). Athelstan was crowned King of Wessex and Mercia at Kingston upon Thames on 4 September 925 and, thanks to the achievements of his father and aunt, theoretically held sway over a territory whose northern border lay on a line between the Mersey and the Humber. Beyond that lay the Norse-Danish-Irish kingdom of York, the Welsh kingdom of Strathclyde, the Earldom of Northumbria and, north of the Firth of Forth, the Kingdom of Scotland. None of these were friends of Athelstan’s – though their rulers had all submitted to his father. Relations with the Welsh kings to the west were mainly, and mutually, antagonistic, Cornwall was not entirely reliable (though probably under the control of Wessex) and the entire west coast of Britain was constantly at risk of Norse attack. Nor could Athelstan expect an easy time at home; he had been brought up in Mercia and had not been first choice as king for the men of Wessex, who wanted his younger half-brother, Aelfweard. This would have split the two kingdoms, Wessex and Mercia; but, Aelfweard died and, allegedly narrowly escaping an attempt to blind him, Athelstan was elected king. Athelstan moved swiftly against the kings in the north. Initially, he tried a diplomatic approach by marrying his sister to Sihtric, the Viking King of York. However, Sihtric died soon after and Athelstan invaded York, demolished the Danish fortifications, expelled Sihtric’s sons, and distributed a huge booty among his followers. It was the first time a southern king had ruled in York. From there, Athelstan marched into Northumbria, to the great fortress of Bamburgh, to persuade the Anglo-Saxon earl, Ealdred Ealdulfing, to become his man. Messages were sent to the kings who had assisted the Vikings of York; if you want war, you can have it. 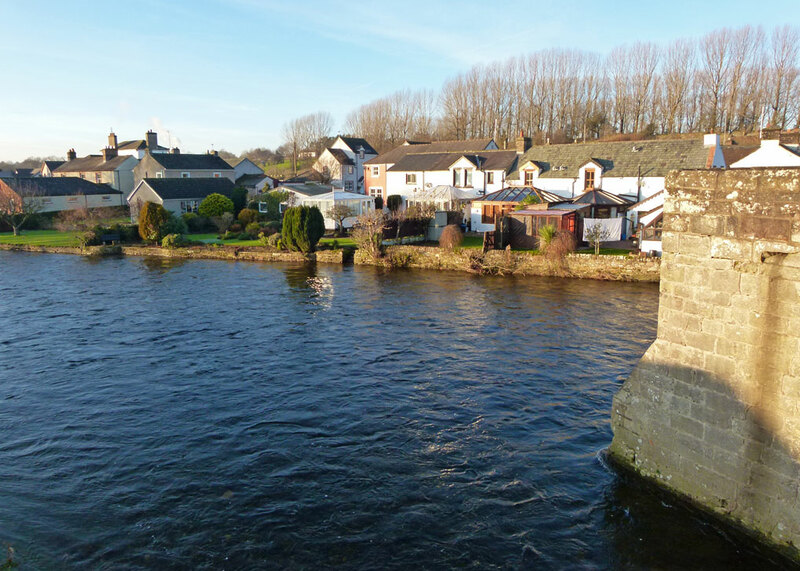 And it was to Eamont Bridge that they all came – Constantine, King of the Scots, Hywel Dda of Deheubarth (southern Wales), Owain, King of Strathclyde and Cumbria and Ealdred of Bamburgh – to submit to this Anglo-Saxon king. In a formal ceremony, they each gave up their kingdoms and were reinstated as tributaries with mutual pledges of peace. Athelstan established his northern border with Strathclyde and Cumbria here, with a frontier along the Eamont, Ullswater and the Duddon valley to the sea. Athelstan went on to even greater things, subjugating five Welsh kings and eliminating opposition in Cornwall. In 937 AD, at the Battle of Brunanburh, he led a force drawn not just from Wessex, but from across Britain, and defeated a combined invasion force led by Constantine of Scotland, Owain of Strathclyde (obviously, men of their word), in alliance with the Viking Olaf Guthfrithsson. That’s another story – and nor was this the end of the tale of the evolving states of Britain; but the lands united under Athelstan came to be known as “Englalonde”. The burning question on your lips, of course, is “Why did they all come to Eamont Bridge?” Was this some kind of early medieval conference centre? Actually – and sadly – no one knows exactly where they all met. It could have been at the monastery at Dacre, to the east, or the nearby Roman site at Brougham. But most sources say ‘Eamont Bridge’ – so let’s assume it was somewhere in the vicinity. And it might well have been so, because Eamont Bridge has a couple of other surprises. 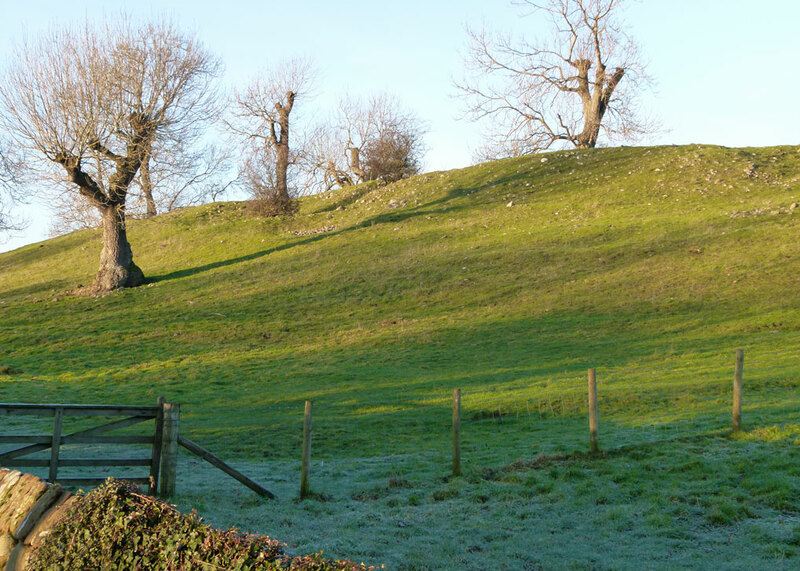 On the southern edge of the village is a feature known as King Arthur’s Round Table. It was constructed in the late Neolithic period, between about 2000 and 1000 BC and consists of a circular platform surrounded by a ditch and earthen bank. It is classed as a henge and, indeed, early descriptions mention standing stones. There is also evidence of wooden buildings on the site. It originally had two entrances, one of which – along with part of the bank and ditch – has been destroyed by the road (B5320) going through it. You can see this from the photographs. There was also once another monument nearby, known as Little Round Table, though very little trace of this is visible. No one knows how this King Arthur’s Round Table got its name and no one knows its purpose. There is a tradition – presumably relatively recent – that it was used for jousting. It doesn’t end there. A little further along the B5320, just before it crosses the M6, is Mayburgh Henge (maiden’s fort?). This is older than King Arthur’s Round Table, probably dating from around 2,500 BC. It is unusual, consisting of a massive circular bank about 10 feet (3 metres) high built entirely of pebbles from the nearby Eamont and Lowther rivers. There is no ditch. The bank is covered with grass now, and trees grow along the top. Inside, it creates an enormous central area almost 325 feet (100 metres) in diameter. 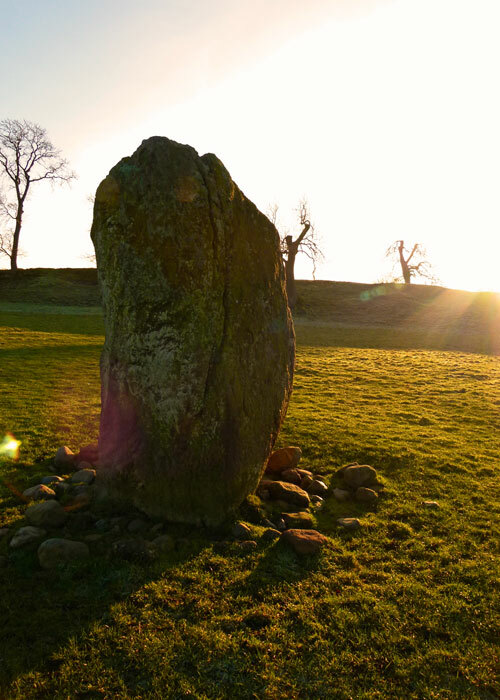 In the centre is one standing stone – at least seven others originally accompanied it. It looks like an enormous, decaying, tooth. 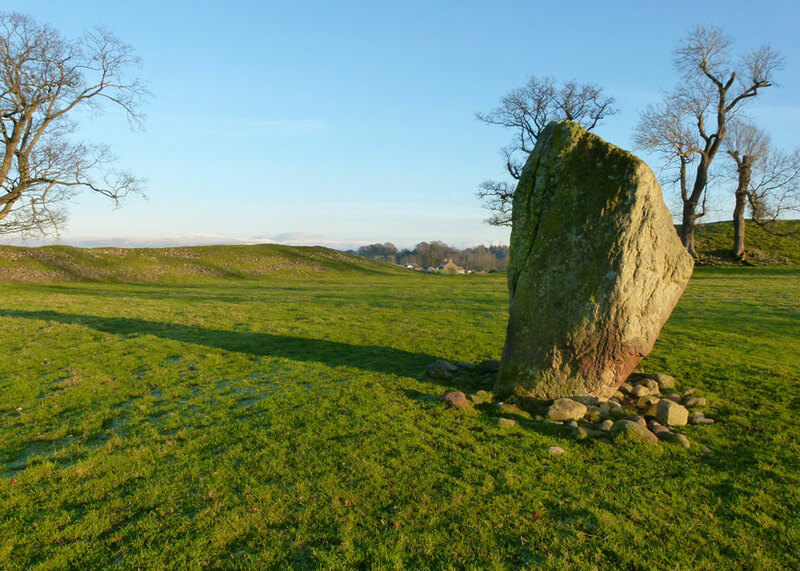 Though it has been used for sports and May Day celebrations, we don’t know what Mayburgh Henge was for, either. I see from the ordnance survey map that another standing stone is located a short distance to the north. 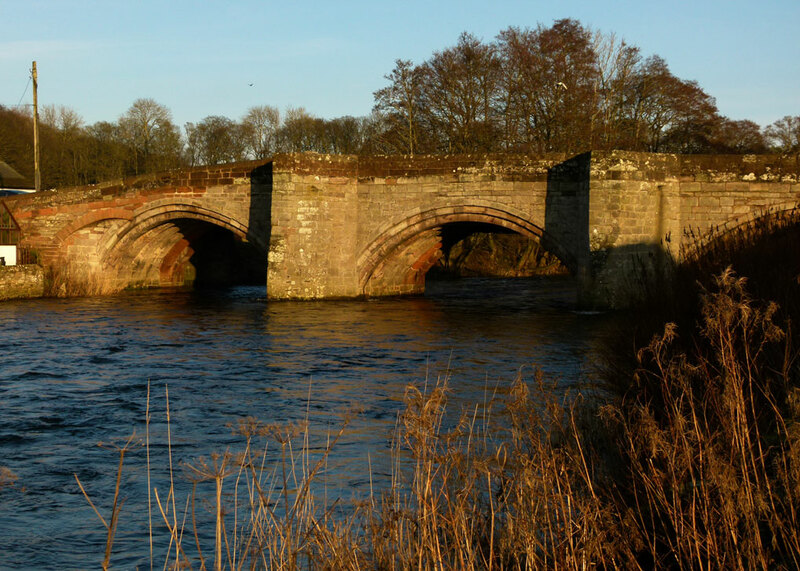 In any event, it doesn’t take an expert to conclude that, whatever Eamont Bridge was called in prehistoric times (its modern name, derived from Old English/Scandinavian, means ‘bridge at the river confluences’), it must have been a place of some significance. Did its importance extend into Celtic, then Roman times? Was it somewhere people gathered, to barter, or for ceremonial reasons? Did a folk memory linger hundreds of years later, to suggest to Athelstan & Co that this was a suitable meeting-place for kings? Or was it simply a convenient river-crossing on the border? This is all speculation and we’ll probably never know. But there’s obviously more to this old village on the frontier than you might think. Many thanks for a wonderfully informative post, and great pictures. Should we visit the Lake District next year I’m going to suggest a visit to see this Bridge. I am learning so much from you. Thank you. Am I reading correctly that at one time there were Welsh kingdoms both to the west and north of the “English”? I really do wish I had even the tiniest glimpse into the past to see what those henges were all about. There are so many of them, and we can only guess. Your posts always have such a lot of interesting information, and more often than not they contain something I didn’t know about. Cumbria has so much to offer the discerning historian! Thanks again for another wonderfully informative post, Mike. Next time we are visiting the Lakes I must suggest a visit to Eamont Bridge. How fortunate you were in the weather on your visit; the frost makes many of the bumps and hollows of the land stand out beautifully! Really interesting, I had not heard of the henges before. Great photos as usual. I don’t know how you do it, Mike. So much research, so many photographs, all assembled into an enthralling package. Thank you. Thanks very much, Frank; we aim to please! What a fascinating post – lots of very interesting historical detail. Another fascinating tale, accompanied with great pictures – thank you! This was my morning read today, along with my big mug of coffee and small bowl of muesli. I don’t think I’ll ever visit Eamont Bridge in person, but now I know it exists. Food for thought indeed. I can imagine that small insignificant looking bridge being of great importance in times gone by. Another great post. Beautiful photos! And so interesting to hear how things evolved. Do you think Athelstan just wanted to be big cheese, or did he perhaps see how much better it could be if there was one larger kingdom? Thanks, Lisa. I don’t know. I suspect it was a matter of survival at first – and you’re more likely to survive from a position of strength. You wouldn’t know so much history took place here. It feels idyllic. Fascinating and incredibly complex. You should team up with a clever cartographer who could put all those well-researched words into an annotated map so the rest of us could follow along, one step at a time. Thanks for the story ! Thanks, Mark. Oddly enough, one of the early plans for A Bit About Britain involved an interactive map, but I quickly realised a) it was (and still is) beyond my current technical ability and b) more content is needed. I think recent evidence points to henges being important meeting places, where animals were slaughtered in thanksgiving for the season gone, and the one to follow the next year. Excellent write up BTW, I enjoyed it. Thank you – and thank you for visiting. I expect people in the future will be asking quite a few questions about what we got up to. I did think about mentioning the millennium monument, but it didn’t seem to be at home in the article.